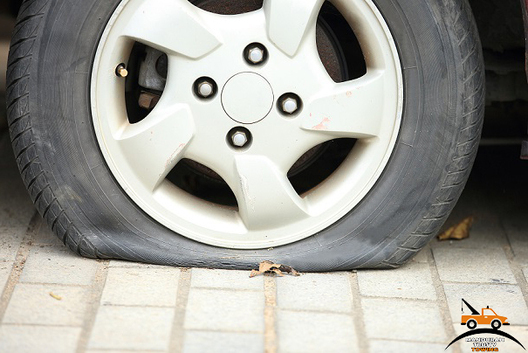 ​Flat Tyre have you deflated? Let’s face it, at some point in our lives we are going to have to deal with having a flat tyre, it’s almost an inevitable thing that you will experience at some point. Whether a complete blowout like the pop of a balloon or a slow leak like a faulty tap, it is both dangerous and frustrating, to say the least. Especially when you have people to see and places to go. Fortunately, Mandurah Trusty Towing have you covered like rubber to the rim. Consider us Mandurah’s very own mobile pit crew, changing tyres over in record time to get you rolling again. Thanks to our exceptional experience, equipment and overall ethic for efficiency. Stand back in awe as we do the work for you and get that baby changed. Whether you have a spare or not, we can accommodate to your needs, by hooking you up with a tyre or pointing you in the direction to where you will find some. Before we are on our way, all tyres will be checked for air pressure and tread to make sure you won’t be calling us again later in the week. 08 9468 7220.